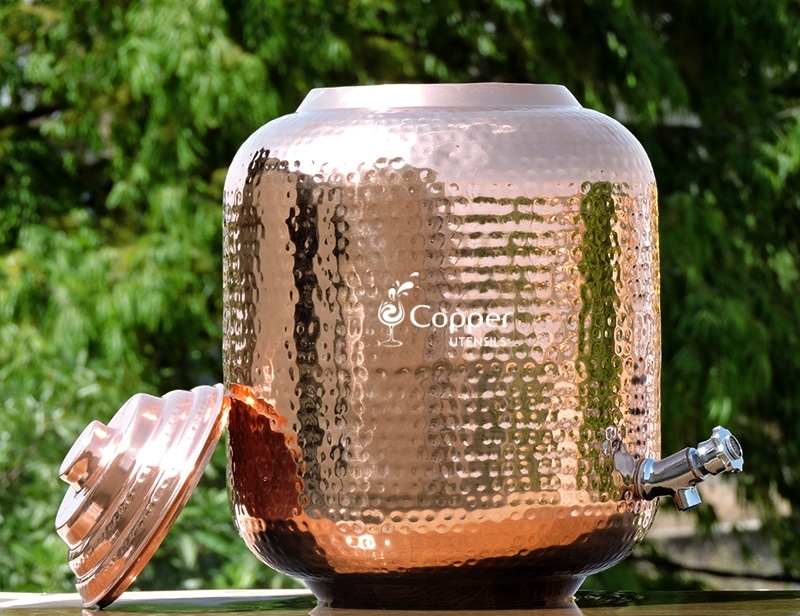 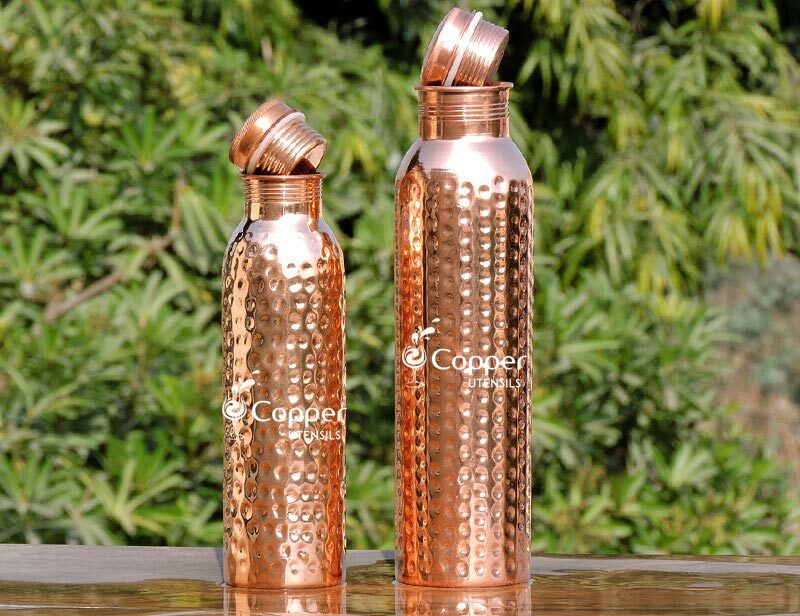 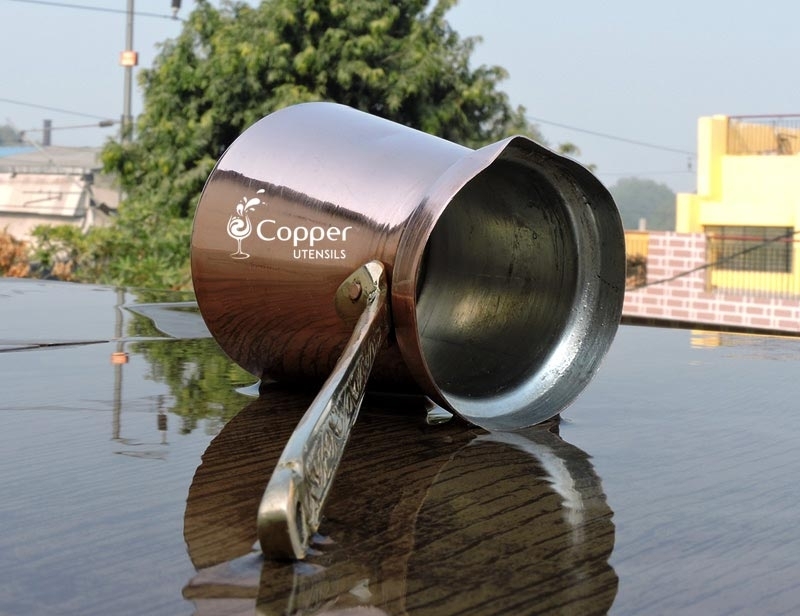 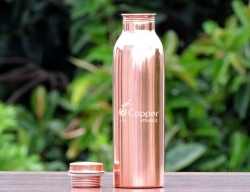 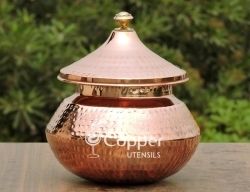 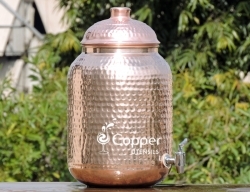 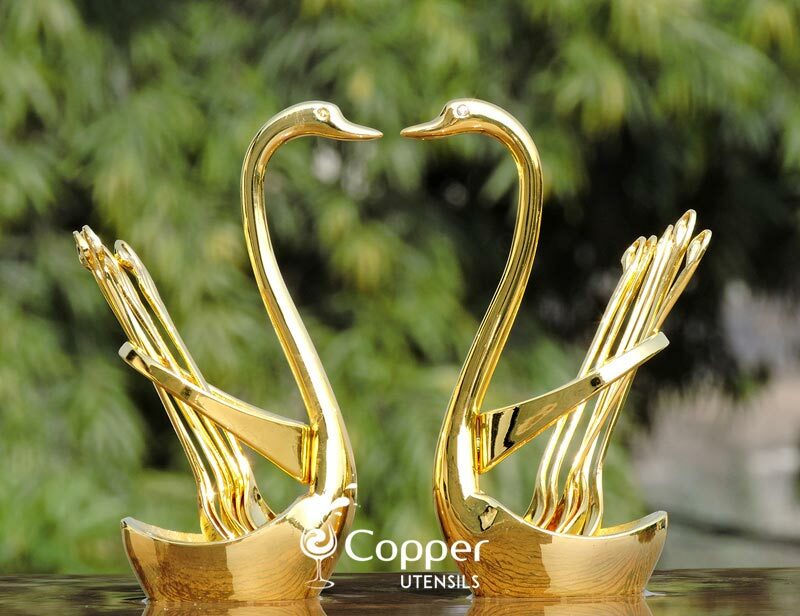 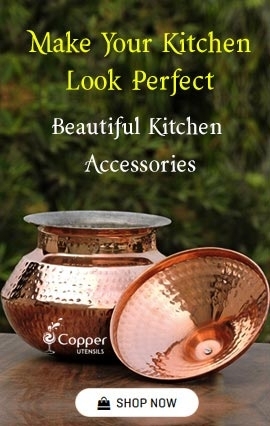 Hand crafted with pure unadulterated copper. 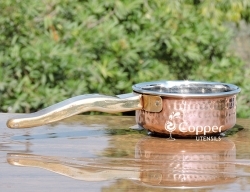 Suitable for preparing traditional, unfiltered Turkish coffee. 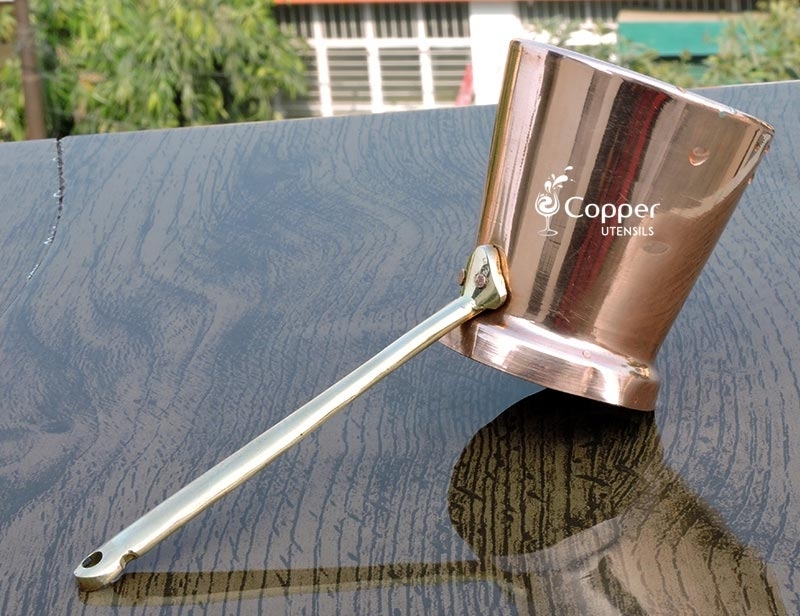 Sturdy brass handle for comfortable grip. 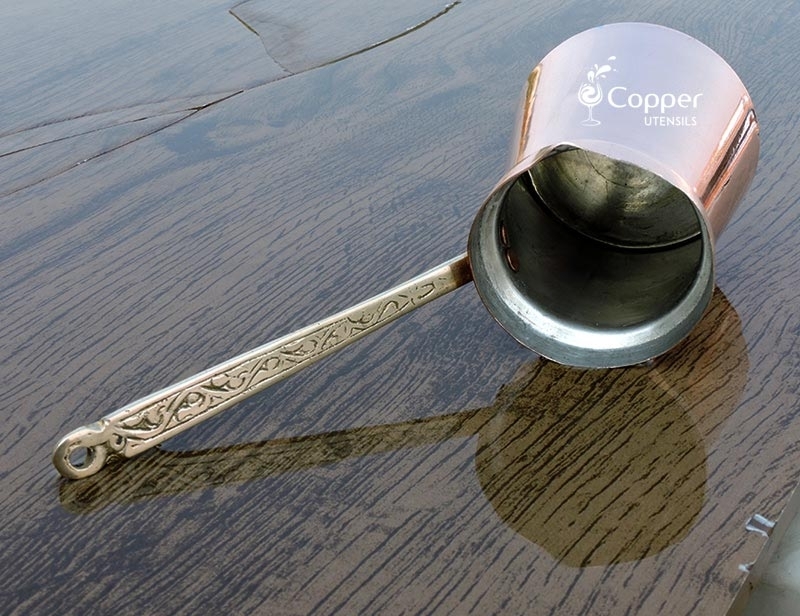 Turkish coffee is famous all over the world for its unique bitter taste and preparation. 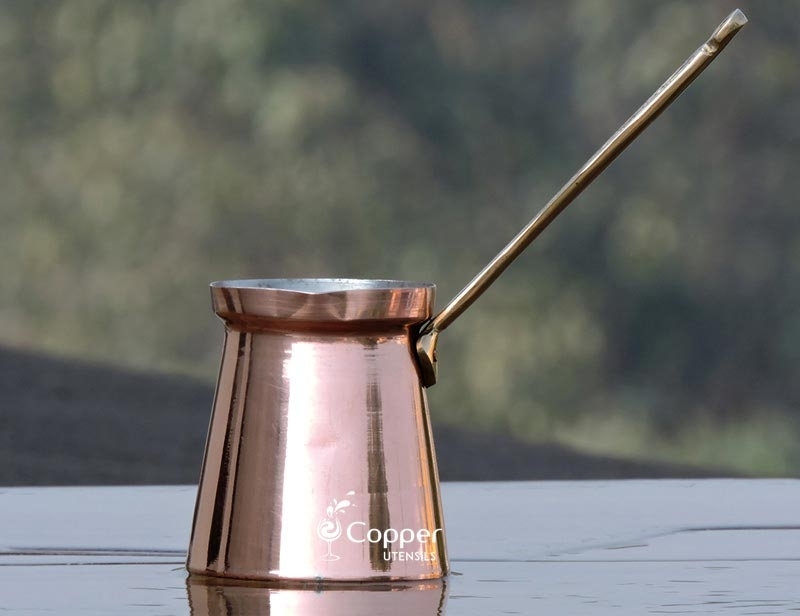 Turkish coffee is a medium roast unfiltered coffee which is prepared on a stove top in a unique coffee maker known as cezve. 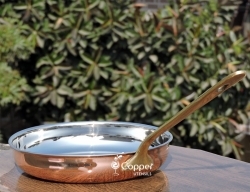 The cezve is traditionally made of copper and brass. 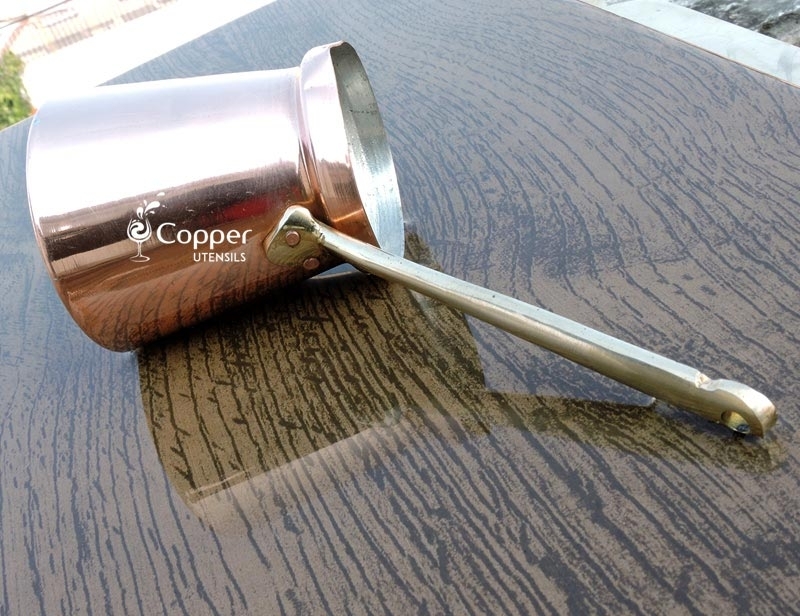 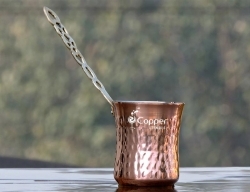 The interior of the copper Turkish coffee maker is plated with nickel or some other unreactive metal. 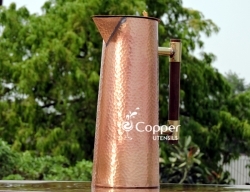 The coffee maker has a long brass handle attached to it for better grip and to prevent the hand from burning. 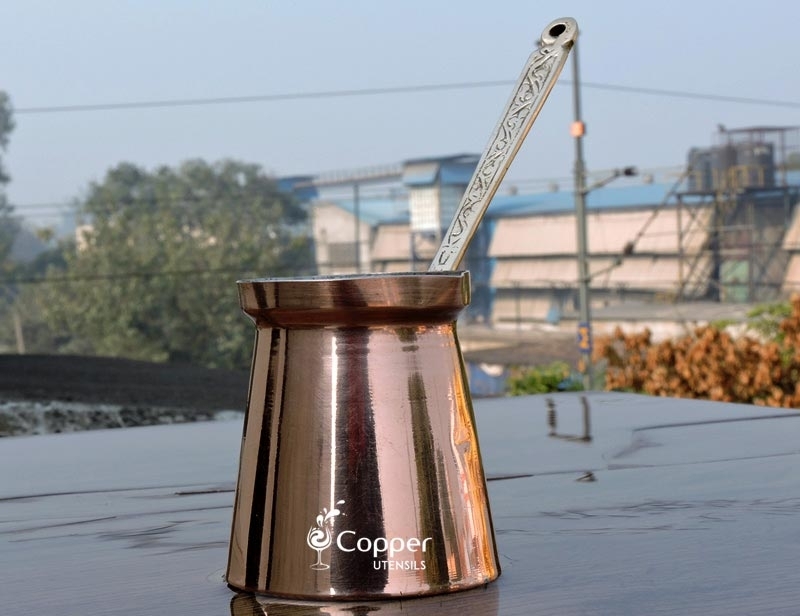 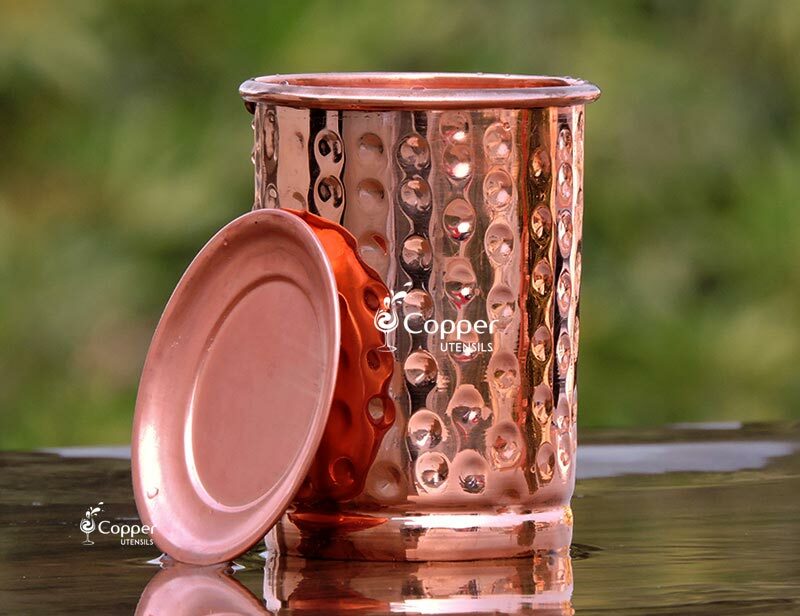 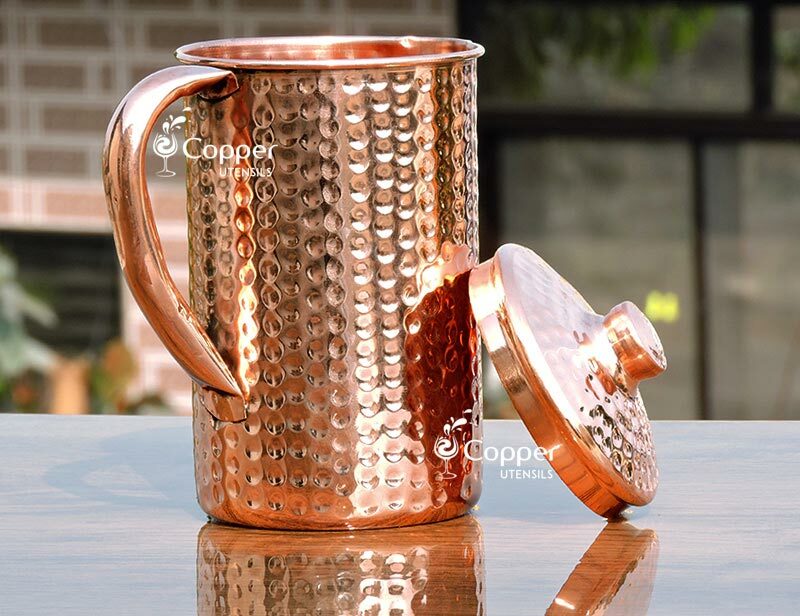 Our Turkish coffee maker is crafted from pure copper and will eventually fade and tarnish a little. 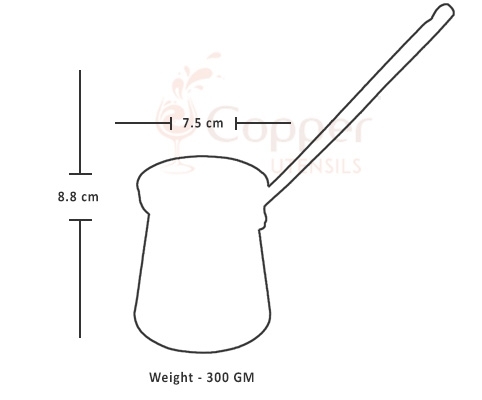 But this does not affect the efficiency of the product. 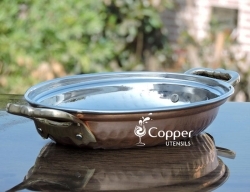 You can maintain the shine of the product by cleaning it regularly with a lemon and salt solution. 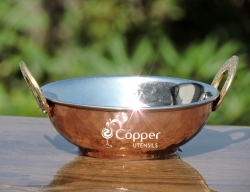 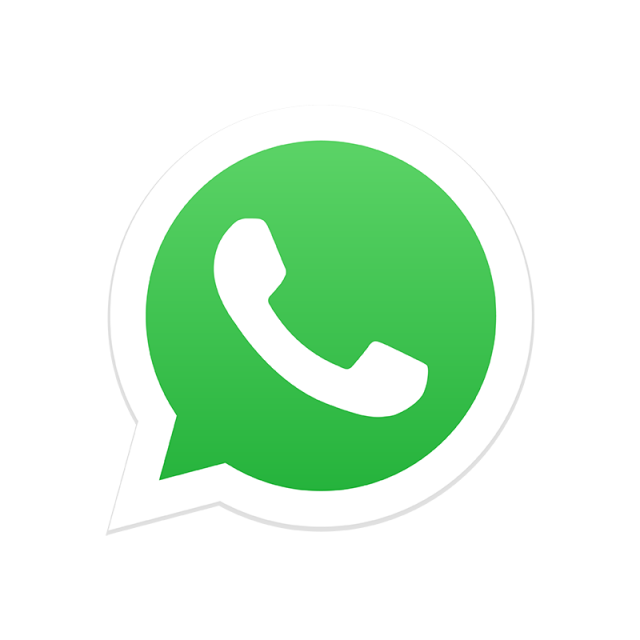 Use a soft cotton cloth to rub the solution on the surface of the product to bring back the shine.